Welcome to 350 Roaring Fork! 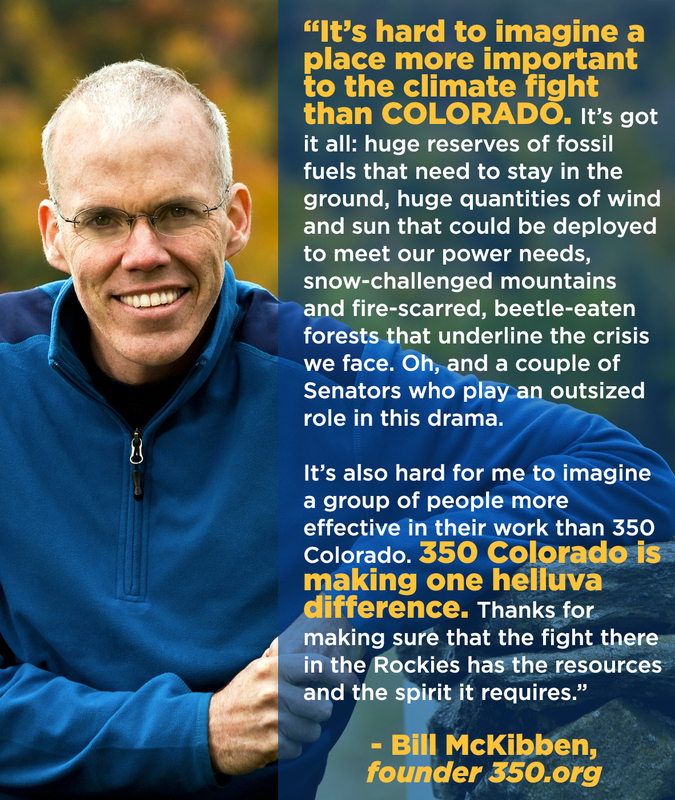 We are a new team that is working hard to motivate the local climate movement in the Roaring Fork Valley! Our members include individuals from Rifle to Aspen and beyond. Follow ups on Facebook to stay up to date on events! Join us on Friday, January 12 for a screening of “To the Ends of The Earth” at the Carbondale Library! We would love for you to get involved with our local efforts. We are working to protect our valley from fracking and fossil fuel development, promote clean energy and educate our communities on climate change issues. We brought our voices to stand up for our neighbors in Battlement Mesa who are facing a fracking site less than 300 ft from their homes! We marched, demonstrated, attended meetings, wrote letters and postcards, called our representatives and defended Mother Earth in every way we could think of!